We first saw the Sharp RoBoHoN about six months ago. At that time it really did seem like an experimental project, despite the stated intention of a H1 2016 product launch. Now it looks like any cynicism was misplaced, as Sharp is forging ahead with its plans, and has released a news update outlining its sales plans for the robotic smartphone device. 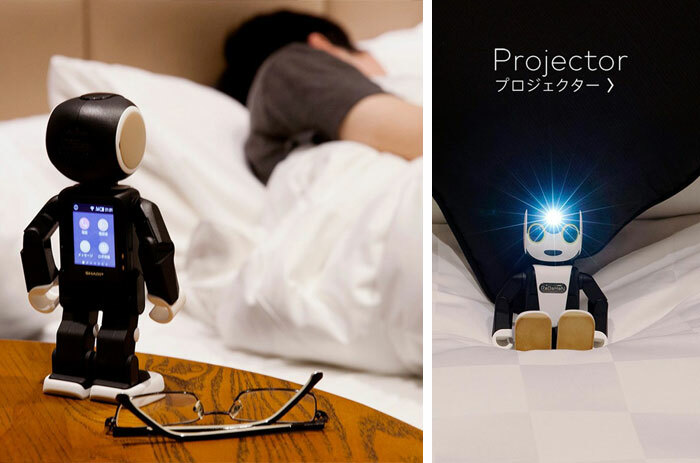 The Sharp RoBoHoN is a compact mobile robot that can fulfil many of your smartphone needs and be a useful robotic companion. It was developed by researchers at the University of Tokyo, including Associate Professor Tomotaka Takahashi. This 19.5cm tall, 390g, bipedal robot contains a Qualcomm Snapdragon 400 processor, a two-inch LCD QVGA screen, an 8MP main camera, a 1280 x 720 pixel projector in its forehead, 13 motors, 2GB RAM, 16GB of storage, a 1,700mAh battery (for more than a day of usage, says Sharp) Android 5.0, LTE/3G/Wi-Fi, BT4, and the usual array of smart sensors. The video embedded at the beginning of this article shows you how the Sharp RoBoHoN is really greater than the sum of its parts, as it provides useful functionality throughout a family's day. Custom software and cloud connectivity allow RoBoHoN to be help prompt you to keep your appointments, to guide you with directions, and read and send messages to friends and colleagues. If it can't simply tell you something you have the backup of the 2-inch screen or focus-free projector system at the ready. 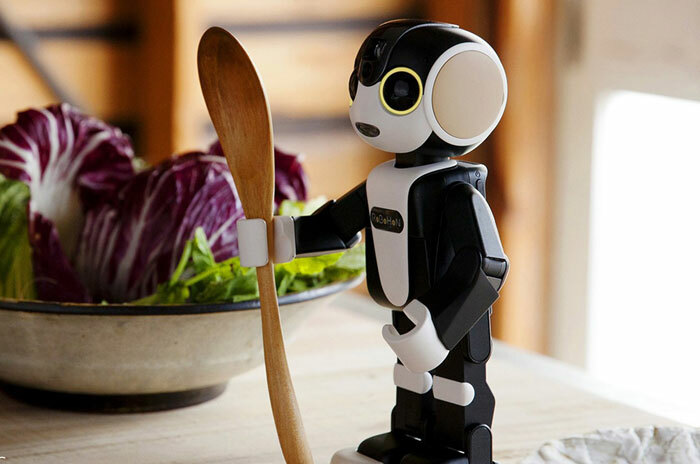 Sharp is now taking pre-orders for the RoBoHoN in Japan, at a price of 198,000 Yen (about £1,300). Furthermore, according to TNW, you will need to pay up $6 a month for its voice recognition features. This 'heart moving phone' is to start shipping from 26th May 2016. Sharp intends to work to bring RoBoHoN to other countries but its manufacturing plans are only for 5,000 units per month at this time. Anyone instantly think of Chobits when they saw this? While lacking some of the most useful features of a traditional Smartphone, this thing is very cool and I'd likely want one ‘just because’. If money were no object, I'd pre-order! No idea who Chobbits is, but if he's anything like RoBoHoN, he must be quite a cool guy…? I didn't think anything would tempt me away from windows phone and back to android, but here it is. I just get a feeling a I can't afford it (one of the reasons I have a windows phone).